The Spokane Symphony’s Executive Director, Brenda Nienhouse, and Spokane Civic Theatre’s Managing Director, Jim Humes, announced the partnership from the stage of Martin Woldson Theater at The Fox. The Symphony and Civic’s collaboration represents a new milestone in cooperation among major arts organizations in Spokane. Based on Victor Hugo’s classic novel, Les Misérables is the longest running musical in the world. In 1987, the original Broadway production won eight Tony Awards, including Best Musical and Best Musical Score and was honored with many other awards. 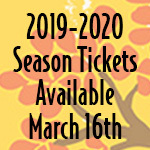 Set in early 19th-century France, it features the classic songs “I Dreamed a Dream,” “On My Own,” “Stars,” “Bring Him Home,” “Do You Hear the People Sing?,” “One Day More,” “Master of the House” and many more. 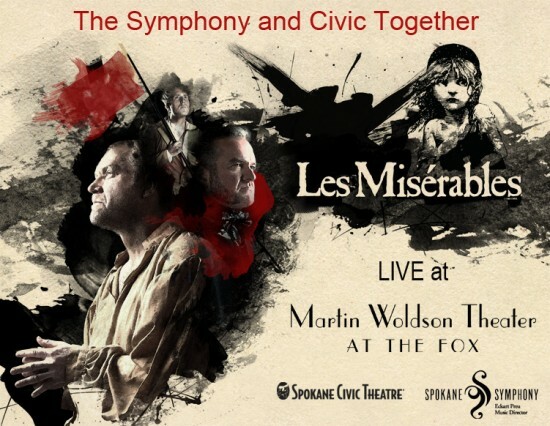 Tickets for “The Symphony and Civic Together: Les Misérables Live at Martin Woldson Theater at The Fox,” go on sale tomorrow, Wednesday, December 18 at noon, and range from $40 to $125. Those who wish to enhance their performance experience can purchase Golden Circle seats in the top $125 price point, which entitles them to a champagne reception with select cast members in the Founders’ Gallery directly following the performance. Organizers say that all profits from the shows will be used to bolster the financial footings of Spokane Civic Theatre, the Spokane Symphony and Martin Woldson Theater at The Fox.